Alzheimer's disease is associated with two neuropathologies: amyloid plaques and tau aggregates, or tau protein accumulated in neurofibrillary tangles in neurons. Brain amyloid plaques are the better-known pathology, but the significance of tau to disease progression is equally important. "It seems that in Alzheimer's disease, amyloid accumulation in the brain starts first, but symptoms typically occur after the amyloid pathology induces the tau pathology, at which point neuronal cell death and the loss of synapses start to accelerate," says Henri Huttunen, a docent at the Neuroscience Center of the University of Helsinki (a HiLIFE unit). "It looks like tau accumulation is the really harmful element of the disease." Tau also occurs in healthy neurons, but the accumulation of incorrectly folded, pathological tau plays a key role in Alzheimer's. The recent study by Henri Huttunen's and Riikka-Liisa Uronen's research group, published in the Cell Reports journal, indicates that the accumulation of pathological tau triggers a safety valve mechanism in the otherwise well-regulated cell membrane. "As the regulatory mechanisms of the tau protein give in, the protein ends up in the cell membrane, instead of the cell's cytoskeleton. The cholesterol-rich lipid rafts of the cell membrane seem to play a central role in this tau secretion mechanism," Huttunen says. Molecular data on how tau interacts with cell membranes can potentially be used in slowing down Alzheimer's disease and other diseases that belong to a group known as tauopathies. "Currently we are only able to treat the symptoms of these disorders, which makes the development of a treatment that slows down disease progression an important goal," explains Huttunen. "When omega-3 fatty acid DHA was added to the cell cultures, tau secretion from cells collapsed. 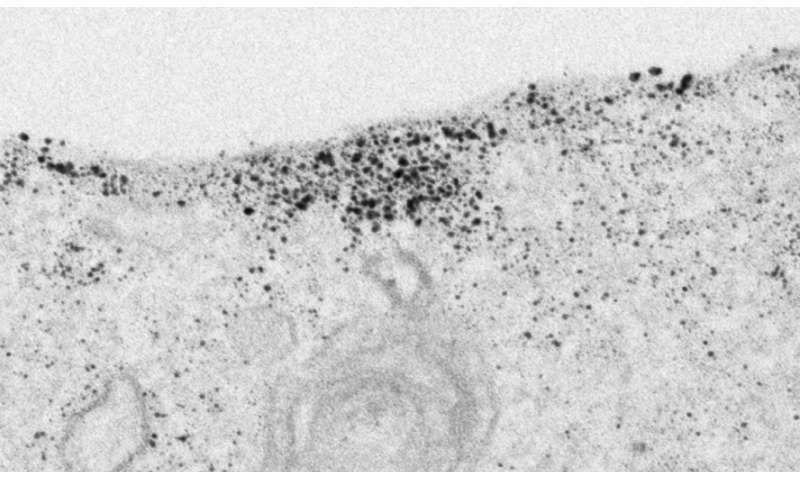 It seems that omega-3 fatty acids modify the microstructure of the cell membrane to become less permeable to tau aggregates, capturing the protein within the cell," says Huttunen.